Boone Aeration & Environmental offers a complete line of in-line centrifugal fans. 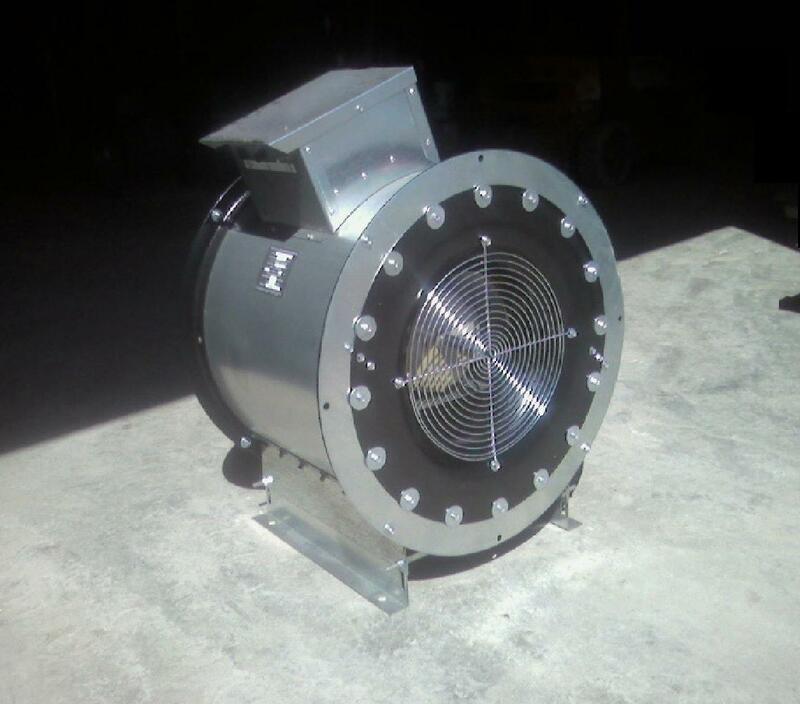 These fans offer the centrifugal fan wheel with its high pressure capabilities, in an economical tubular housing. These fans make a good choice when more pressure is required than what an axial fan can deliver, but economy is also a requirement. Boone in-line centrifugal fans have heavy duty welded housings, inlet cones, angle rings, legs and internal baffles to provide you with a fan that not only performs efficiently but also gives you long service. These fans make an excellent choice for replacing noisy axial fans. In most cases they will bolt up to your existing transitions and provide you with more pressure for smaller grains and a quieter operating fan. These fans are offered in models ranging from 1.5 HP to 15 HP. The diameters range from 18” to 28”. The performance chart below allows you to pick the model that best fits your application.